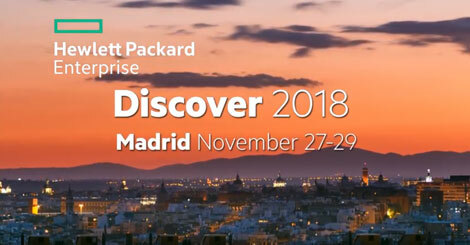 This week sees the HPE Discover Event take place in Madrid, Spain. If the event is new to you can think of it as HPE’s largest annual trade show. This is generally where all the big announcements are made. I am lucky enough to be attending as a guest blogger so will be looking to get more info on the storage and all other news. Veeam at Discover – what’s new? I had the chance while I was at HPE Discover to catch up with Michael Cade from Veeam. 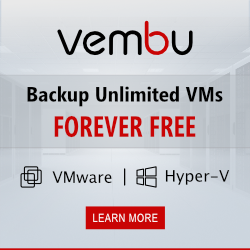 We had a chat about what new features were coming in Veeam Backup and Replication 9.5 and also how Veeam is going to integrate even more tightly with HPE Storage products. Check out the video below, and don’t forget to subscribe to the YouTube channel. That’s HPE Discover done for another year. Just before it ended I managed to catch legend in the storage game Calvin Zito to have a quick chat about the storage announcements and the show in general. I have more videos coming next week including the very cool 3PAR 3D cache so make sure to subscribe to the YouTube channel so that you don’t miss it.